As part of our work we have to deal with local government rules and regulations including health and safety issues, tree preservation orders, disputes, etc. 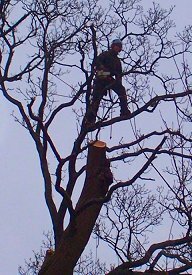 Below are some of the organisations that you may require information from before considering any tree work done. We can provide all the necessary detail you require, but if you wish to read up on anything in advance, please feel free to visit these sites. Full of information on tree preservation orders (TPOs) and to find out whether a tree is covered by a preservation order. It also covers your responsibilities as regards any tree on your land that may be subject to a TPO and what to do if a tree is dead or dangerous. An online form for you to fill in if you need works carried out on a tree including those on conservation land and those covered by a TPO (requires Adobe Reader ® to view - available from HERE ). Contains information similar to the Bristol site but more specific to customers in their area. A form for you to fill in if you need works carried out on a tree including those on conservation land and those covered by a TPO (requires Adobe Reader ® to view - available from HERE ). For useful information on Tree works in the B.A.N.E.S area and links to info on TPOs and other important documentation. 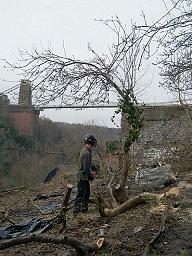 For useful information on Tree works in the North Somerset area, links to officers of the council on TPOs and other important information. If after you've had tree work carried out you might want to take advantage of some lawn care as well. Bristol Lawn Care is a local company who have the skills and knowledge to assist you with this. The above external links will open in a new window. They are provided only as guidance for you and Smart Trees Ltd cannot be held responsible for their content. If you find any broken links at all, please contact us through the Contact Page and we will amend our listing.